You want to sell your property in Marbella or in any other place on the Costa del Sol? 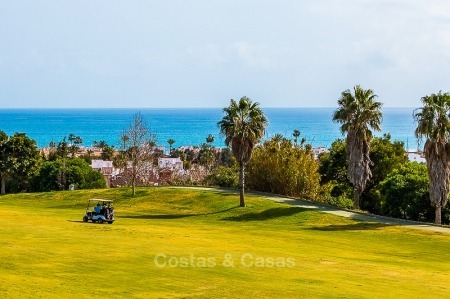 Costas & Casas is a highly professional real estate agency, with a dedicated team of specialists with almost 20 years experience on the Costa del Sol. For our international clientele we are always looking for Prime Properties. We are aware that your property in Spain and your time are valuable assets and we pride ourselves on offering you the best service. We always define clearly our buyer´s needs and propose only the properties matching their criteria. In that sense, we make sure that all our viewings have a real potential of purchase. We take particularly care of presenting the property at its best, and we leave the property perfectly close and in perfect condition. For you it’s a worry-free service with the best possibility of results. If you wish we can as well offer you a discrete marketing of your property. We also take care of your property through our full Property Management Service. Friendly and dedicated to service, our multilingual staff will attend to you in English, Spanish, Dutch, French, German, Latvian and Russian. We will be pleased to make a brief and clear presentation of our services. A five star service for vendors!